spent cutting back summer's growth. which starts for him today. down to Crystal Cove beach we drove. without feeling I had to be held hostage in having to spend for it. the creative efforts of my darling daughter! as well as her dad and I.
we all had our own romantic dates! 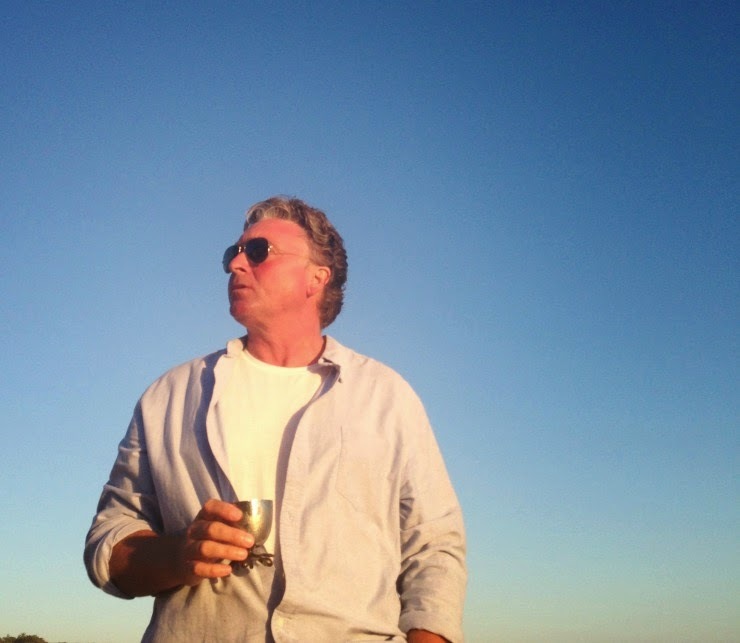 The desert was a memory in itself! 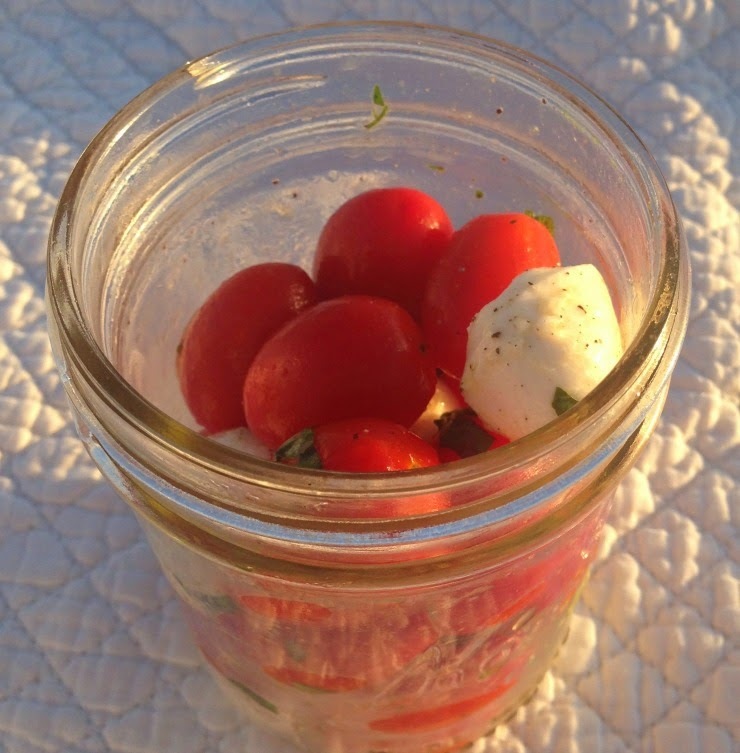 Beautiful and that idea of packing each dish in a jar is great ! Have a fantastic week, Tamera ! Thank you my dear! Wishing you a fabulous week as well! Dear Tamera, all so lovely, your thoughts, the scenery, the CHEESECAKE! It's a pleasure to read about your loving, stylish life. Rosemary … thank you my dear! 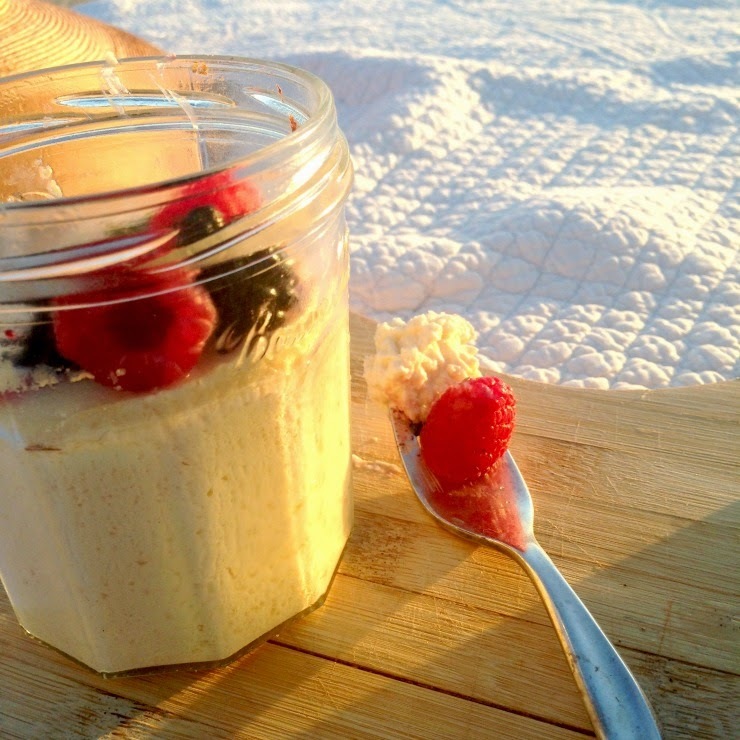 We have a recipe up today for the fabulous cheesecake in a jar! I so enjoyed the walk in your English woodland … and am utterly inspired by your success in the garden! I think I will be planting more tomatoes in your honor … as we still have several months of growing season left here in Southern California! I love what your daughter made for you and your husband....perhaps you can share the recipe for the dessert? My dear … your wish is my command! We are putting the finishing touches on the cheesecake in a jar post this morning! Thank you for your interest my dear! 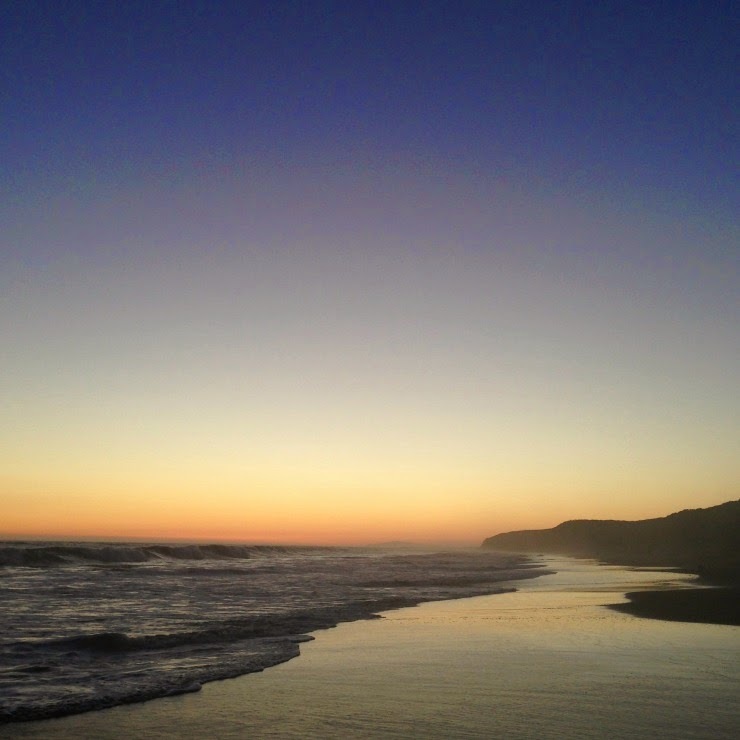 Tamera, your beach photos are always so magical. I haven't spent a sunset at the beach in FAR too long...will have to remedy that soon. 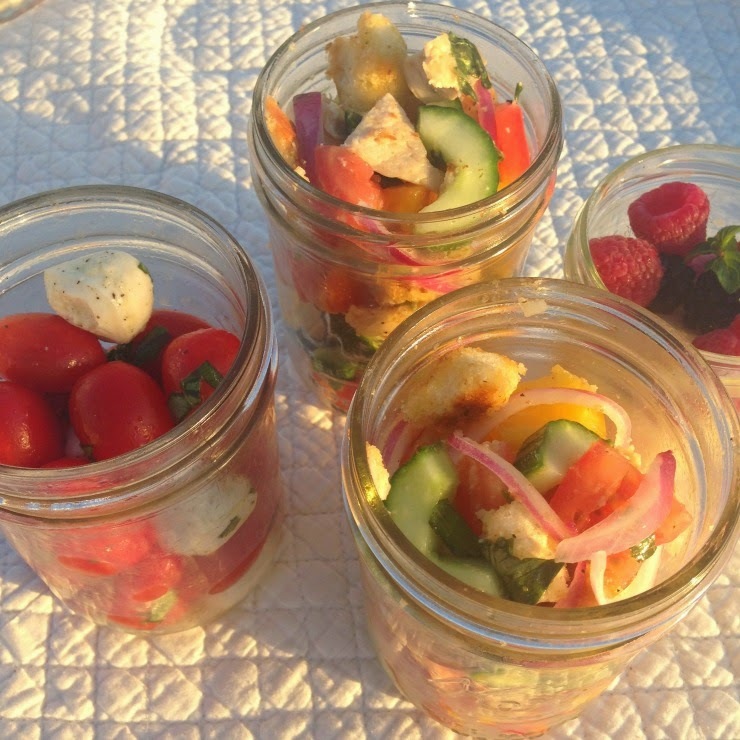 The picnic in jars looks delish!! 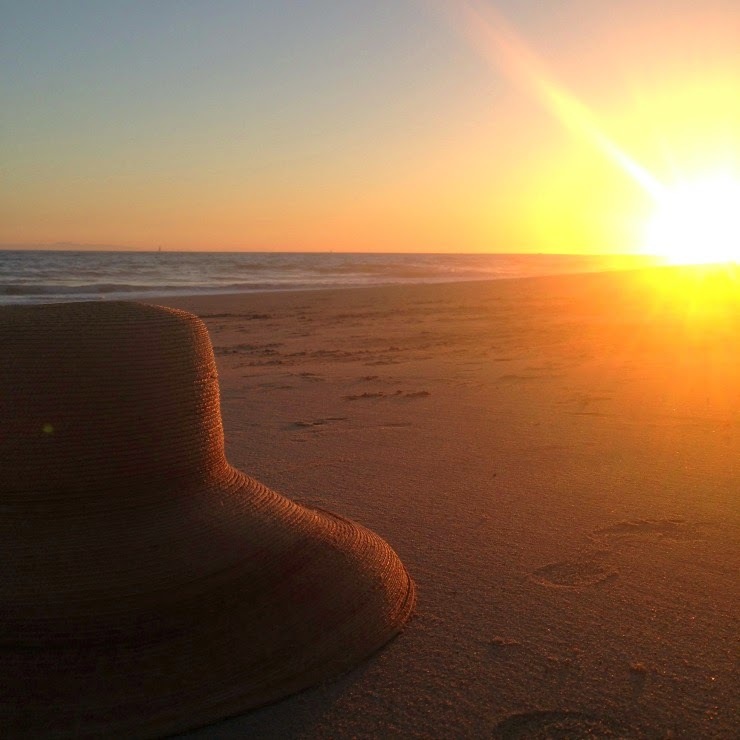 Oh my dear Susan … yes you must remedy he lack of a beach sunset soon! For the soul restoring benefits alone! Like I mentioned … it did take some effort to get there … but the benefits reaped were priceless! Here's to hoping you make it down soon! 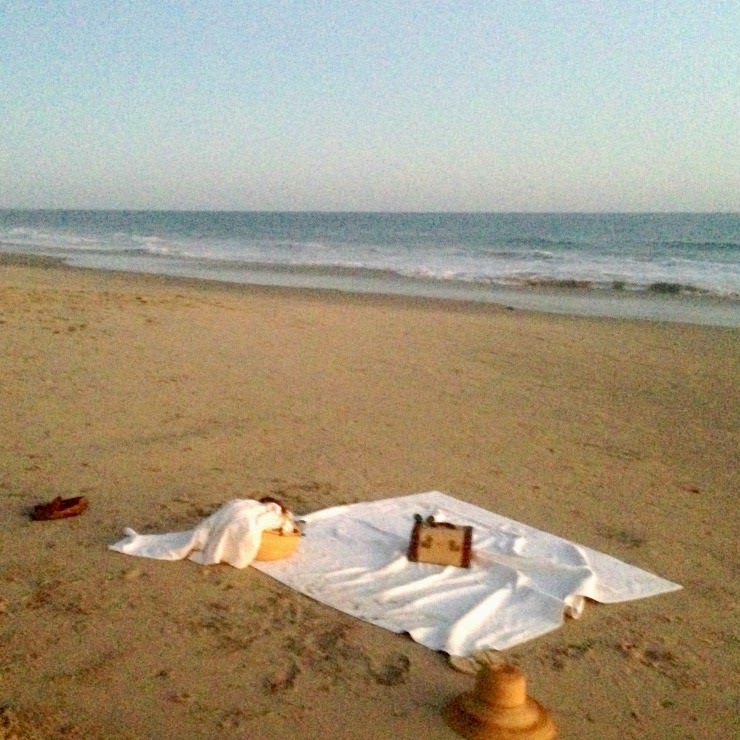 What a beautiful and memorable evening on the beach Tamera dear. Your picnic looks amazing and your photos are stunning. That one of Jeff is frame worthy for sure (tell him I said so! ;). What a perfect late summer evening on the beach. Loved every grain of sand. Thank you dearest Heather for your sweet, sweet words! 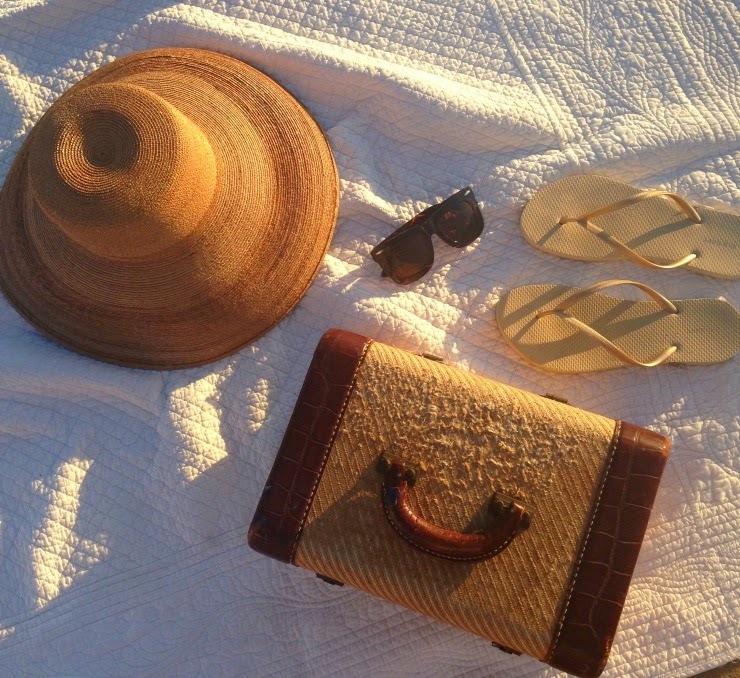 I have been enjoying seeing you and Scott savoring your summer so beautifully! You my friend, are always a lifestyle inspiration! Wow Tamera, you really topped yourself with this writing and photo sharing. Your thankfulness is infectious! Why thank you ever so much Joni! Thank is just the most lovely comment … and exactly my intent with my gratitude posts! So how are your Seattle dates going my dear! Your city is still on the top of our list to visit! I have loved seeing how ambitious you my dear, have been in your studio! Thank you Kathryn for your loving words! 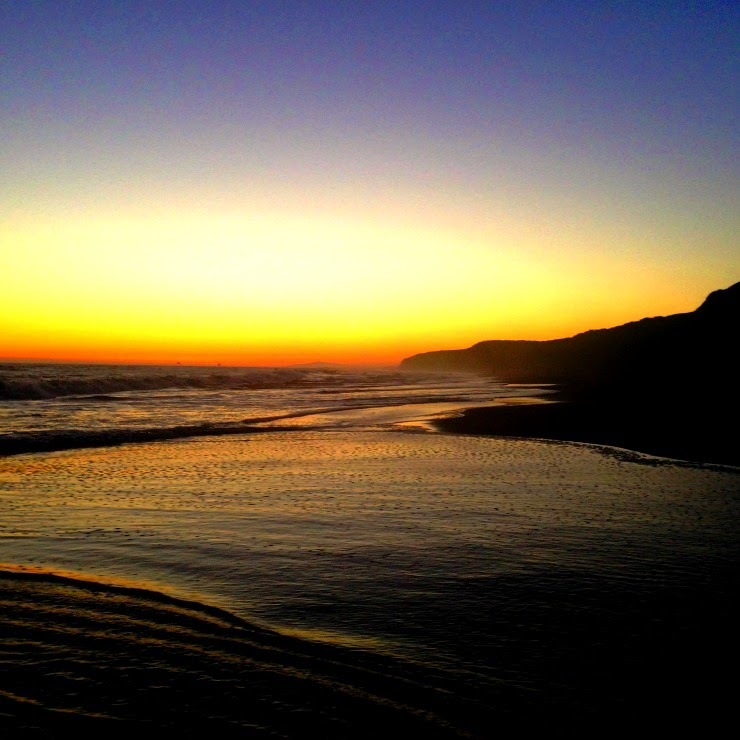 You paint such a loving picture of Crystal Cove. I will be staying near there next month for a few days while my husband has business meetings. I will be sure to steal him away for an evening so we might have our own romantic picnic on the beach. Thanks for the inspiration! Oh my dear … you are so lucky to be staying near the area! 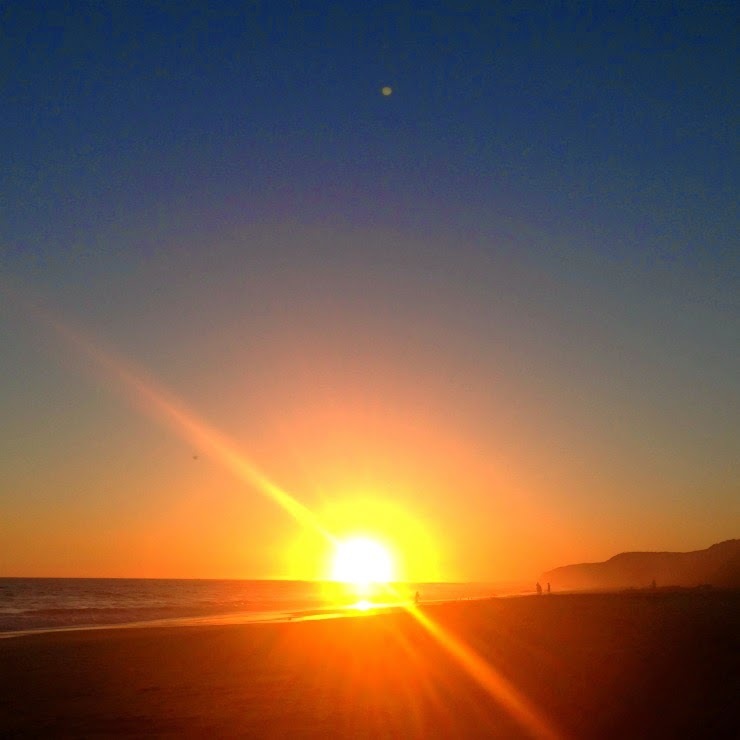 Yes, you must steal him away … for a romantic sunset picnic … you will be so glad you did! Where will you be visiting? We'll be staying at Pelican Hill. I'll be day tripping it to Old San Juan - your posts made it seem like something I shouldn't miss. Any other suggestions? How fabulous to stay at Pelican Hill! A gorgeous property … right in between Newport Beach and Laguna Beach! You are in for a treat! I actually have many suggestions! Where will you be coming from? What days of the week will you be there? Tamera, that would be great! We're just finalizing the travel arrangements. I'll message you with the details. For the benefit of any burglars out there, we have someone staying in, an alarm and a very big dog! !